Like Peanut Butter and Milk Chocolate? 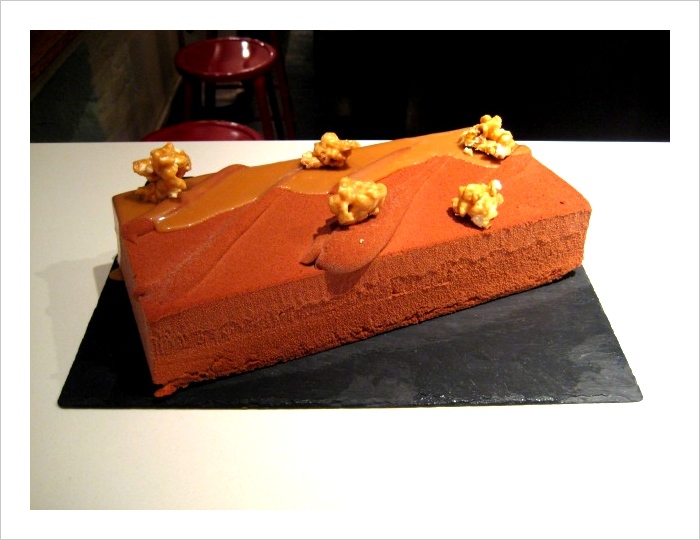 Our new family-sized dessert that we’re offering is milk chocolate mousse cake with peanut butter cream, almond dacquoise and caramel popcorn. Serves 6-8 people and sells for $49 including tax. Click here to order online. ← February Workshops: Macaroons and Chocolate Souffles!